Since 2010 Sabi Sabi, situated in the Sabi Sands Private Reserve, adjoining the greater Kruger National Park, has hosted numerous group and private safaris for Fotozones members and friends. In 2019 we will be returning again, but this time staying at the olde worlde railway themed Selati Camp. This unique camp offers 5 star luxury that is typical of what we have come to expect from Sabi Sabi. The primary objective of this week long safari group is to bring you face to face with some of the most famous wildlife to be found in Africa. Over a period of 7 days you will experience 12 game drives, each lasting a minimum of 3 hours and on which you are likely to encounter a wide variety of wildlife, including the Big 5 (lion, leopard, elephant, buffalo and rhino). By joining this exclusive photographer's group you won't be lumped into a vehicle with non-photographing tourists who only want to rush from one sighting to the next. We take our time and maximise our photo opportunities. 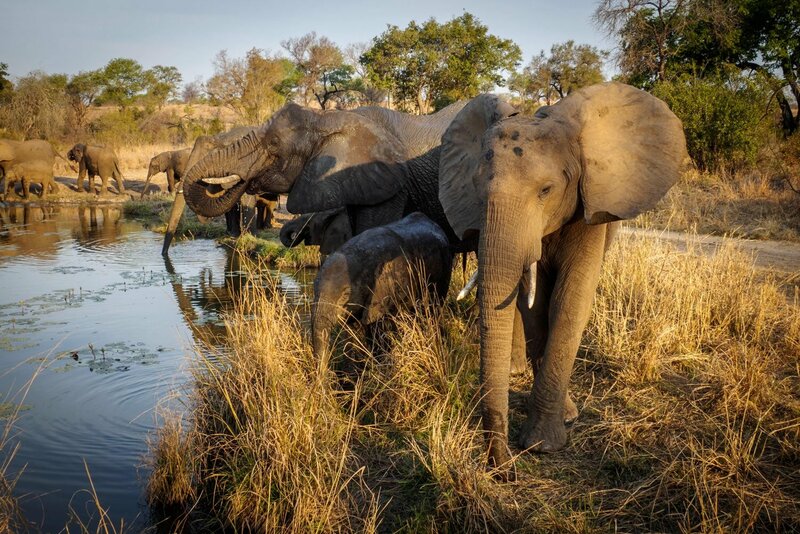 The main difference from our usual host lodge, Little Bush Camp, is that Selati overlooks a beautiful watering hole where many of the reserve's animals can often be found, drinking and playing. 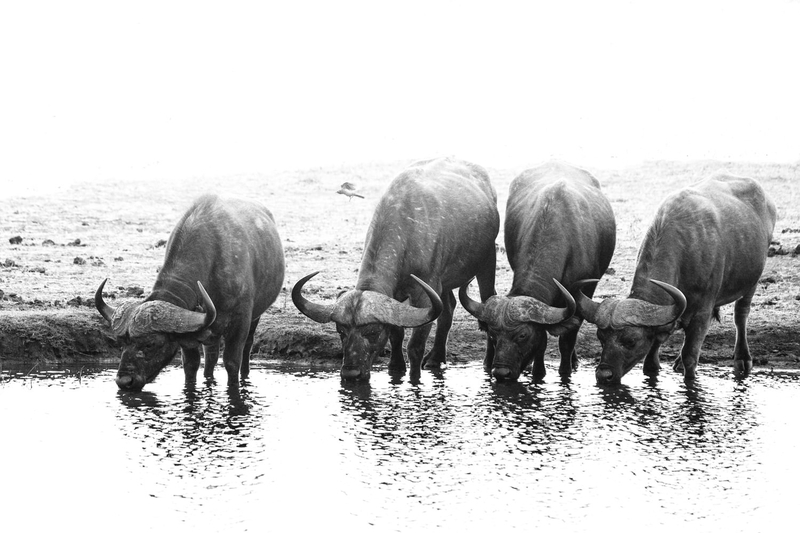 This gives us even more photo opportunities than just going on the game drives because we can watch the watering hole all day from the main deck of the lodge. 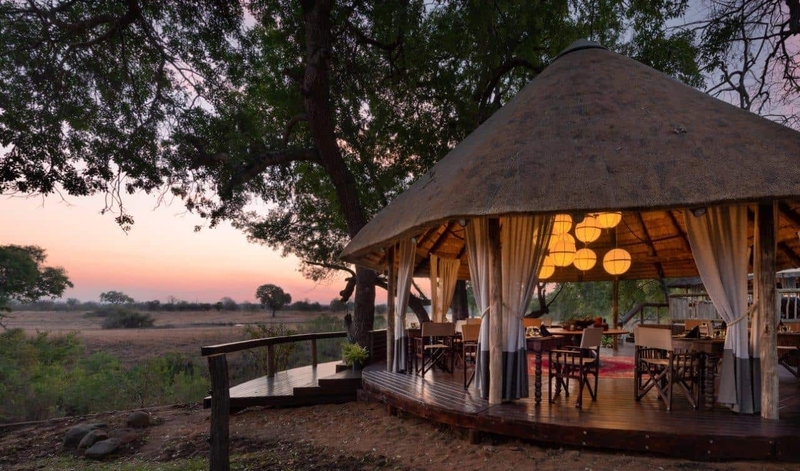 This safari is limited to a maximum of 4 participants occupying 3 suites at Selati Camp. Suites 1 & 2 are for single occupancies where a 50% supplement applies. Single participants will have their own row on the safari vehicle for the duration of the safari. Suite #3 is priced for a couple who will share a row on the vehicle. We will rotate the rows on every new game drive so that everybody gets a different seating elevation experience. A second couple may join at the discretion of the safari organiser if no singles have joined. As I will be leading this small group on my own, I will be available to provide personal attention for any participants who might need help setting up their cameras for wildlife photography. I will also show how I process images in Lightroom using many techniques I have garnered over the years. I don't follow a formal teaching program but anybody who needs me to help them will have my full attention. In the event that the spots are not all filled by the time the 50% deposit is due, any participant who has already paid their deposit will still be booked and their safari will proceed as a private safari on the same itinerary. To book your spot please send an email to info@fotozones.com and I will send you the necessary documentation and instructions on how to pay. If you would like to contact me via phone or video call just let me know and I will set up a time that is convenient for both of us. While some of my guests hop on the plane back home directly after our Sabi Sabi safari, many like to extend their trips for a little longer, perhaps taking a guided tour or visit other private game reserves in South Africa or neighbouring countries. I'm very happy to make these arrangements for you, including optionally appointing official tour guides if needed. If you'd like to experience a Sabi Sabi (or similar) safari but you can't join my small group, it is possible for me to book this trip for you at a time that suits you better. Just pop me an email and let me know what dates you would like to book for and I will make it happen. Don't forget, if you have any questions about this safari or would like to sound out our previous Safarians, just ask to join the Safari Club here on Fotozones, which is where I announce new safaris first.